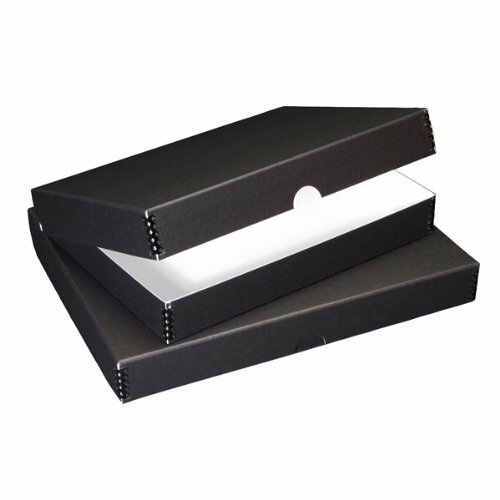 This Lineco Folio Storage Box is constructed with archival black boxboard and measures 13.5 by 19.5 by 1.75 inches. Built for long term storage, each clamshell box is reinforced with metal edges and features a "thumb cut" notch for easy opening. Excellent for artists and photographers, this folio box will protect important documents, delicate papers, maps, artwork and photography from acid, light and dirt. Holds documents up to 13 by 19 inches.